A Victorian era bi-sexual cougar! Some people are born under an unlucky star, and this can be said about author Dorothy Richardson. She was born in Abingdon England in 1873 and by the time she was ten years old, her family moved to London. Her father began to experience a financial crisis, so Dorothy was forced to find work as a governess and then a teacher. Family troubles pulled her away from her independent life and she was forced to quit her job and return home to care for her deeply depressed mother. Despite Dorothy's efforts, her mother committed suicide and her father had to declare bankruptcy. Dorothy found work as a secretary in a dental office. 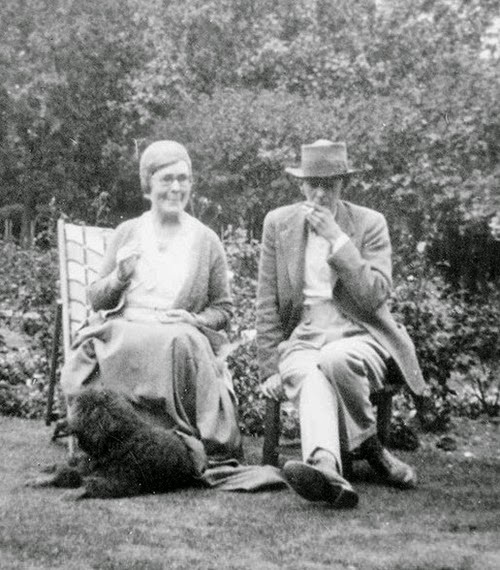 She began to hang out with writers and radicals, and that is when she met H.G. Wells, aka Bertie. 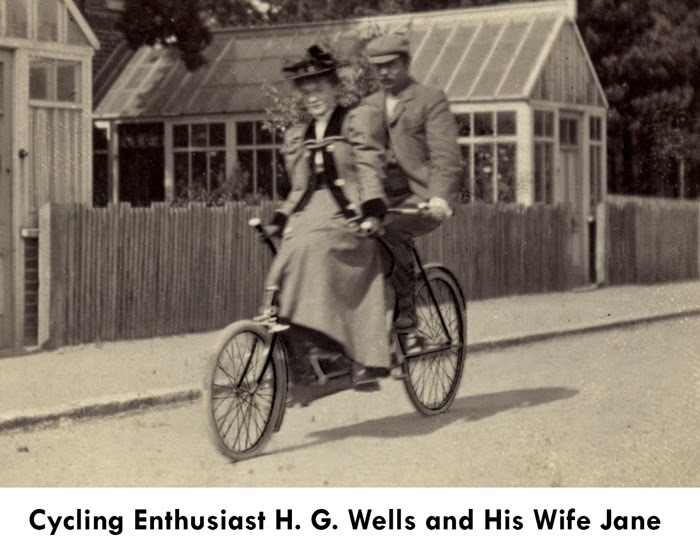 Wells had married Jane, one of Dorothy's school chums. As hard as she tried to ignore him, a strong sexual attraction with Bertie resulted in their having an affair which ultimately led to Dorothy becoming pregnant. The pregnancy resulted in a miscarriage. During this turbulent time, guilt ridden over cheating with her best friend's husband, Dorothy met and married Veronica Leslie-Jones, who was also having an affair with a married man. This united the two friends and they soon fell into a lesbian affair. Their affair lasted only as long as Veronica to meet Ben Grad, a good friend of Dorothy's. The two fell in love and married, though rumors abounded that they both loved Dorothy more than they loved each other. Dorothy found solace in writing, and published her first novel, Pointed Roofs. 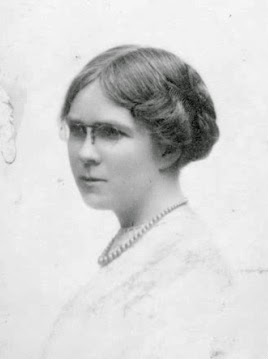 She later started working as a freelance journalist and published two book about the Quakers. With her two scandalous relationships behind her, she met a tall lanky artist named Alan Odle. He was fifteen years younger than she was. They married and she supported her husband. 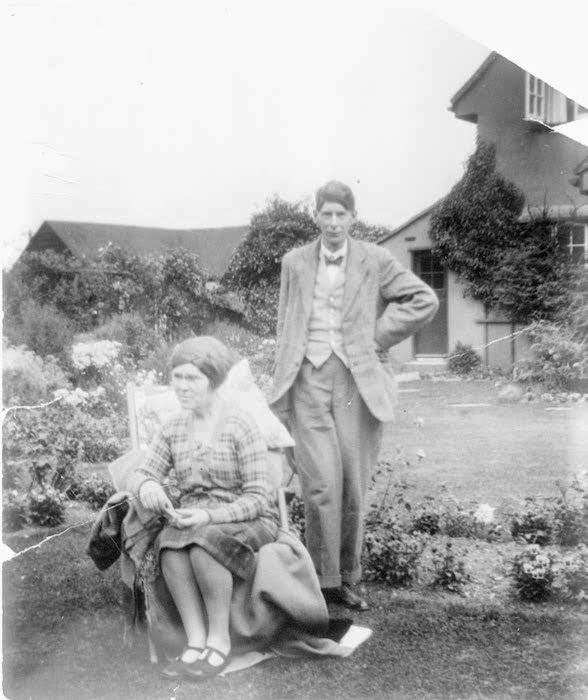 They were content together, but sadly Odle died in 1948. Alone, Dorothy moved into a nursing home in 1954. Three years later, she died. Although her work never made her rich. Her entire life, she struggled to scrape out a living, to make ends meet. And although she never gained the respect she deserved as a writer, today Dorothy is considered an important feminist writer. Her work lives on because of its focus on female issues. 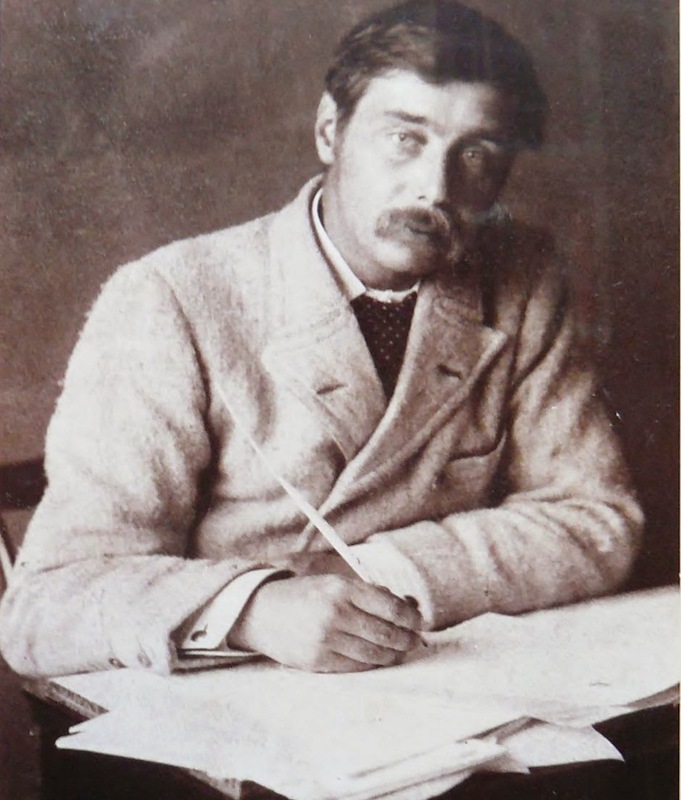 Richardson remains the most forgotten of the early and innovative practitioners of the stream-of-consciousness method of writing. 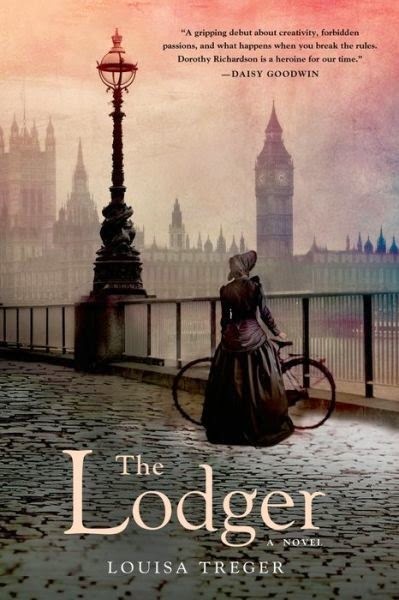 Dorothy Richardson's fascinating life is recreated in The Lodger, a novel by Louisa Treger. Dorothy Richardson is existing just above the poverty line, doing secretarial work at a dentist's office and living in a seedy boarding house in Bloomsbury, when she is invited to spend the weekend with a childhood friend. Jane has recently married a writer who is hovering on the brink of fame. His name is H.G. Wells, or Bertie, as they call him. Bertie appears unremarkable at first. But then Dorothy notices his grey-blue eyes taking her in, openly signaling approval. He tells her he and Jane have an agreement which allows them the freedom to take lovers, although Dorothy can tell her friend would not be happy with that arrangement. Not wanting to betray Jane, yet unable to draw back, Dorothy free-falls into an affair with Bertie. Then a new boarder arrives at the house—beautiful Veronica Leslie-Jones—and Dorothy finds herself caught between Veronica and Bertie. Amidst the personal dramas and wreckage of a militant suffragette march, Dorothy finds her voice as a writer. Louisa Treger's The Lodger is a beautifully intimate novel that is at once an introduction to one of the most important writers of the 20th century and a compelling story of one woman tormented by unconventional desires. Dorothy's life is full of trials and tribulations, and author Louisa Treger successfully recreates it in this fresh and evocative story. From the stringent societal norms of the Victorian era, to the passion of the suffragette movement, to the first World War, Dorothy's life grows ever more challenging. This powerful tale is about how Dorothy found her own identity and voice in a time where women were of little notice or importance. I enjoyed the secret love affairs Dorothy entered into, and how she paid an awful price for having gone through them. The scenes about the seedier side of London were also sleekly well written about. More importantly, when one reads between the storylines, we are exposed to the trials of women alone in the world during the Victorian era, and how courage, perseverence, and fear ruled their daily lives in order women to survive. And the author gives us beautiful insight into all such details. I highly recommend this biographical novel to all readers and writers interested in women's history.